Vertu, the leading luxury mobile maker in the world, introduced the newest addition to its prestigious line: the Vertu Constellation V. Held at the trendy White Rabbit, it was the perfect location to house the fairy-tale wonderland-like ambience of the launch, which was complete with tea party settings, swan ballerinas, a massive butterfly backdrop and hosted by the lovely Linda Black. Constellation is as stellar as it sounds: Constellation uses a 5.1 inch piece Sapphire Crystal (yes, you heard right) which equates to over 100 carats – to cover the entire front of the phone; which sits a 4.3 inch 720p high definition screen. It is scratch-resistant to anything excecpt diamond, ensuring a virtually flawless screen throughout the phone's lifetime. Framing the sapphire crystal is an engineered grade 5 titanium casing, a durable and lightweight material two and a half times stronger than stainless steel yet only half the weight. 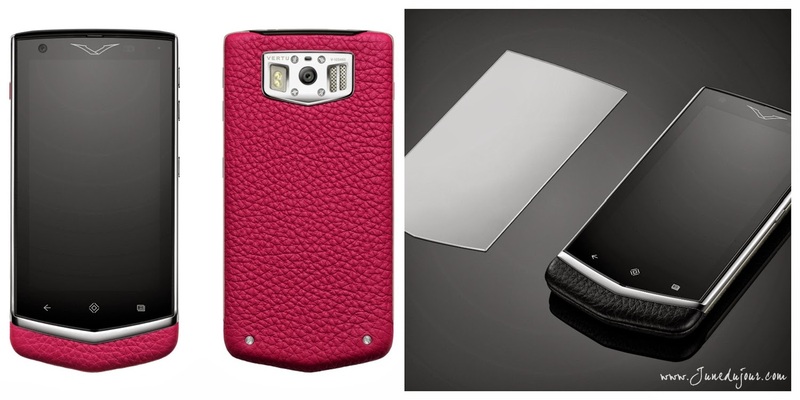 Topped off with its immaculate finish once polished, it is a perfect material for Vertu handsets. The body uses a top quality calf leather, choosing from the finest hides from the Alps of Europe, tailored by a tannery with more than 150 years’ experience. It answers the fashionista's call by being available in 5 exquisite colours - Cappuccino, Black, Orange, Mocha and Raspberry. Tantalise your hearing with Constellation's specially composed ringtones performed by the London Symphony Orchestra. Vertu engineers’ meticulous approach to mobile audio engineering, provideds an unrivalled acoustic excellence. Constellation also offers uplink noise cancellation software and aptX® support, which guarantees superior playback quality when streaming audio to Bluetooth® headphones or speakers. 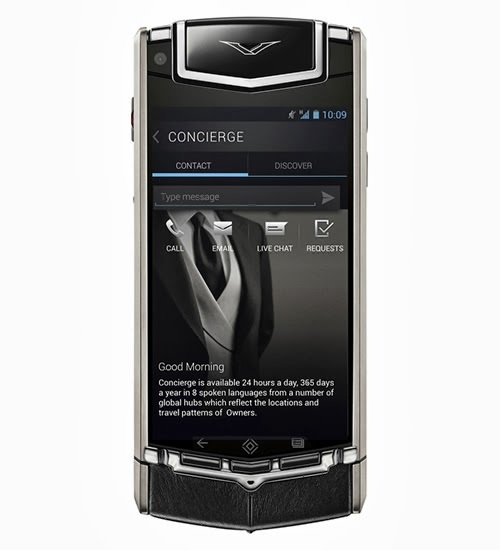 Alongside its extensive offering, is Vertu’s range of unparalleled concierge services that truly makes Vertu in a league of its own. News-site The Independent puts them through the mill here, and why it has earned the accolades it has. I've personally heard a legendary case and particularly about how Vertu concierge managed to link up a client who wanted to have dinner with Queen Elizabeth II! Read more incredulous concierge requests here! Vertu LIFE provides exclusive privileges and access to elite events available directly on device; including complimentary entry to exclusive Private Members’ Clubs, invitation-only events and closed-door shopping experiences globally. Vertu CERTAINTY boasts the best-in-class technology and expert partners; featuring encrypted communications, global Wi-Fi access via iPass, personal and corporate security with Protector Services Group and anti-virus by Kaspersky. SERVICES: Vertu Life. 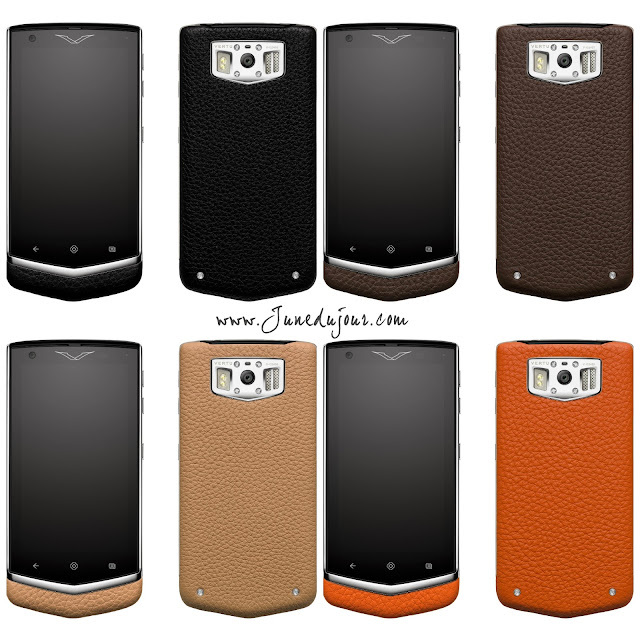 Vertu Certainty. This writer may not be able to afford the phone, but hey at least she got a chance to hold this one-of-a-kind (and VERY expensive) handphone! The Vertu Constellation retails at $8,400 and is available at its respective stores. For more information or to make an appointment, do check out their Website or Facebook.